Helping you pass your Driving Test first time. We all want to pass our driving test the first time, but how can you really help yourself to achieve this? 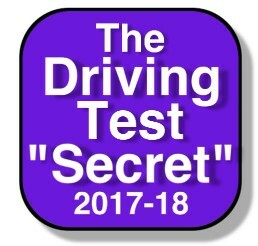 The Secret a brilliant system that will help you achieve your goal of passing the driving test first time. The Secret will help you think through your drive and avoid the simple errors that can destroy your confidence. Regular use will also help you make decisions earlier and reduce your driving test nerves. Catherine. Passed 1st time using the Secret. “Thank you so much for recommending The Driving Test Secret it was great preparation for the test and really helped to beat my nerves”. Amy. Who passed their practical driving test 1st time using the Secret.” I just used the “Secret” for a few minutes every day and it really worked. It was really simple to download the “Secret” to my phone which meant I could use the Driving Test “Secret” wherever I was”. Visit our driving test centre pages to see the current practical driving test pass rate and just what you can increase this to by using The Driving Test Secret! To find out more about how the Secret can help you to pass your driving test click here.